As far as I’m concerned, nearly every car in the museum is a classic, but according to their website, they only have five. That’s because they define classic cars as “generally hand-made by craftsmen in the 1920s and 1930s” before mass production methods became as common as they are today. Despite that, they do have one car from the 1940s listed in their classic category. 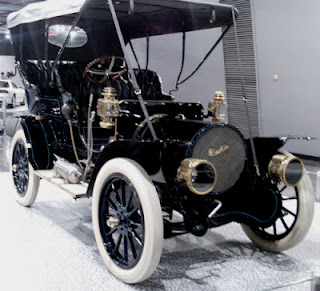 According to conceptcarz, Franklin automobiles, built in New York between 1902 to 1934, were a bit unusual, having an air-cooled engine and hence no need for a radiator, etc. As a result earlier models, including this one, have a short hood compared to their competition. Dealers kept pushing for more conventionally shaped vehicles and finally got their way in 1924. 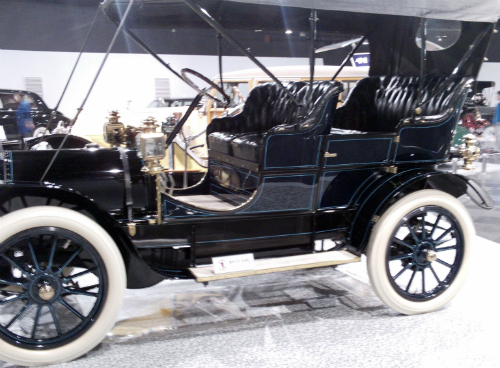 The 1910 Model G came either as a tourer like this one, or a 2- or 4-passenger runabout. It had a 16 horsepower four-cylinder engine, which may not sound like a lot, but the car had an ash wood frame, so was fairly light. At the time, it would have set you back around $1,800. Wikipedia says the Bearcat was a sports car, built to race. 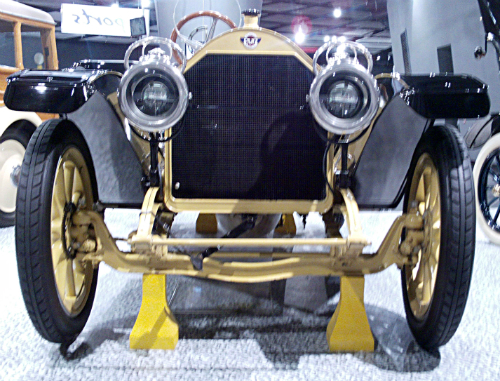 Unlike the Franklin we just looked at, the Stutz had 60 horses under its hood. 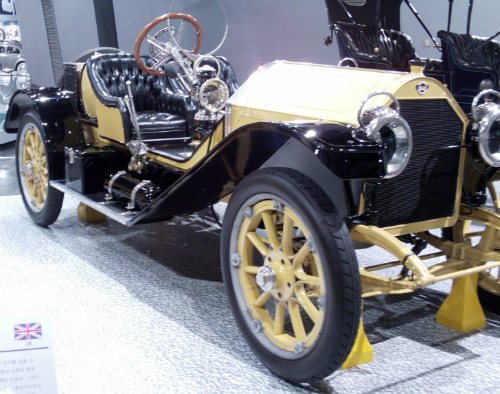 The Bearcat was first produced in 1912. A racing version of it came in 11th in that year’s Indianapolis 500. In fact, Bearcats cleaned up at 25 out of 30 races they were entered in that year. Owning a Bearcat was a sign of status at the time--it cost around $2,000. They sell for much more today. Notice both the Stutz and the Franklin are right-hand drive.